For our last dinner in Waikiki, we went to Bills Hawaii. We made an early reservation so that we'd be done in time to enjoy the sunset as we walked back to the hotel. It wasn't very crowded when we got there on a Tuesday around 5 pm. 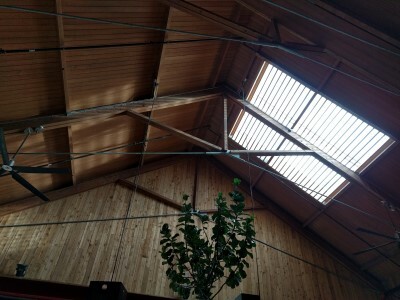 Inside there is lots of wood and lots of windows and a skylight for lots of natural light. It was like being inside a cabin. I was impressed with the size of the restaurant and the spaciousness. There also is an outdoor area. From what I read, Bills started in Australia and is now in London, Tokyo, Seoul, and Waikiki. Happy Hour is from 3 pm - 6 pm. 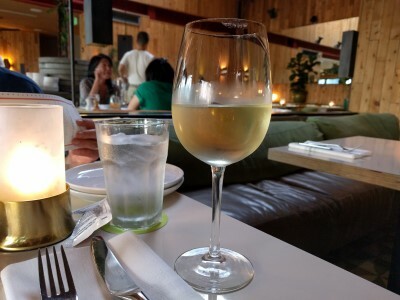 For drinks, SP chose iced oolong tea and I decided on a glass of chardonnay. Happy Hour Calamari. 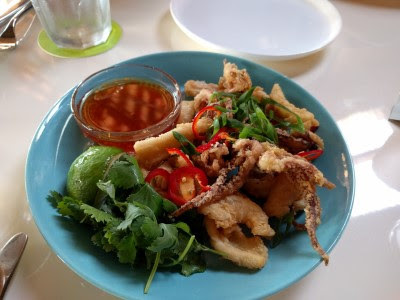 I didn't dip in the chili sauce, but the calamari was delicious. I was quite surprised by SP's choice. 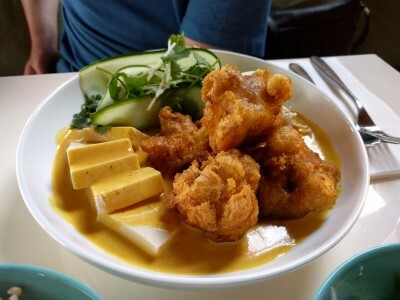 I thought he'd order the shrimp burger or salmon but he ordered Cauliflower Fritters and Tofu Yellow Curry. I had no interest in this at all but he thought it was fantastic. 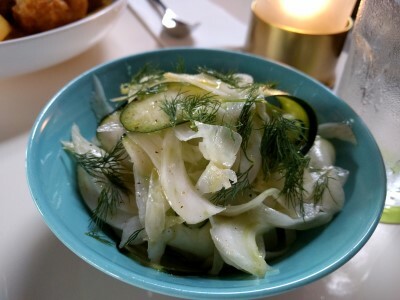 He also ordered a side of Shaved Fennel, Zucchini, Citrus and Dill. I tried this and thought it was terrific. Lots of dill flavor. Yum! 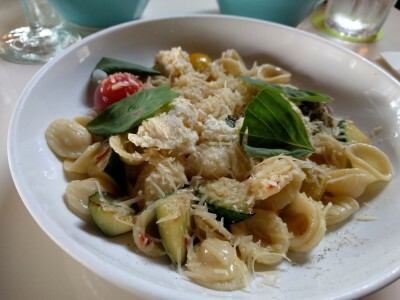 I opted for Pan-Fried Tomato and Zucchini Orechiette, Basil and Ricotta. I asked for no garlic and they were able to do so. This was yummy. I love tomatoes and zucchini, especially with cheese and pasta. I was full but SP really wanted dessert so I said I'd help him eat dessert. 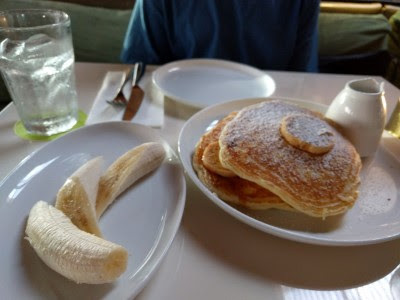 Little did I know the Ricotta Hotcakes, Banana and Honeycomb Butter was an entire breakfast meal. 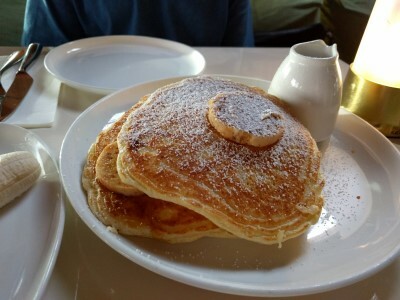 There were 3 or 4 good sized pancakes and an entire banana, which we asked for on the side. We could not finish dessert so we took it back to the hotel and SP ate it for breakfast the next morning. 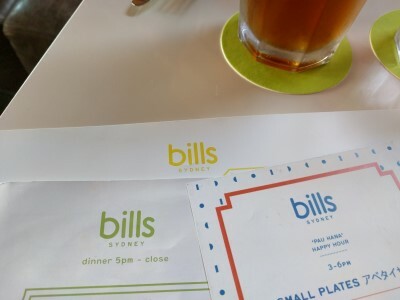 We both enjoyed Bills Hawaii. 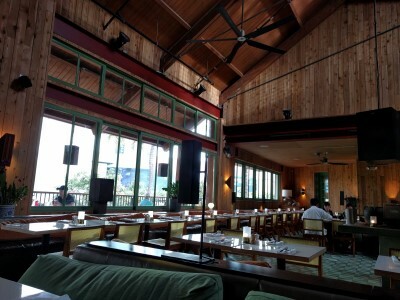 Good food, good service, able to accommodate special requests, casual and relaxing atmosphere. We'd go back.